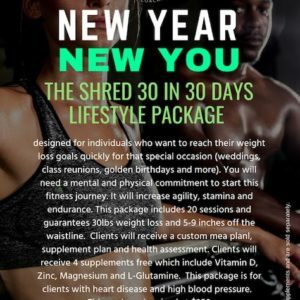 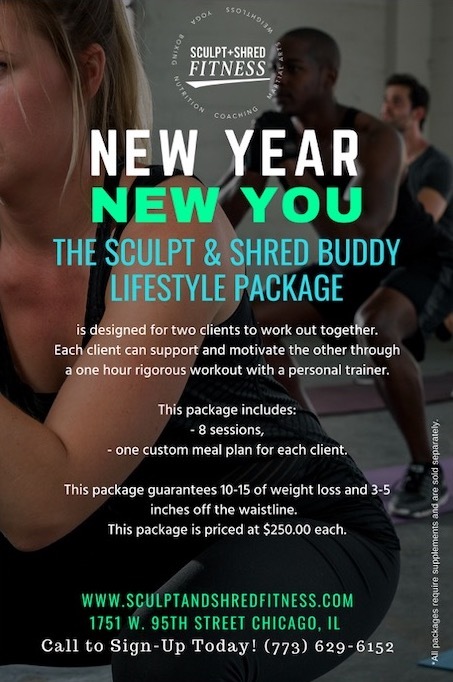 The Sculpt & Shred Buddy Lifestyle Package is designed for two clients to work out together. 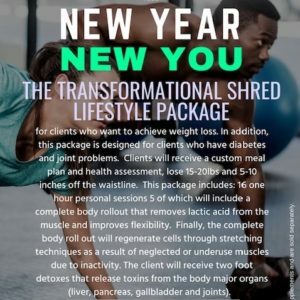 Each client can cheer and motivate the other through a one hour rigorous workout with a personal trainer. 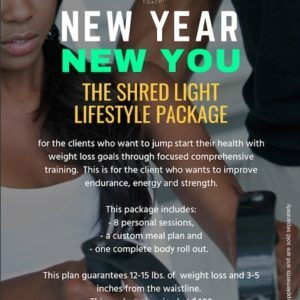 This package guarantees 10-15 of weight loss and 3-5 inches off the waistline.